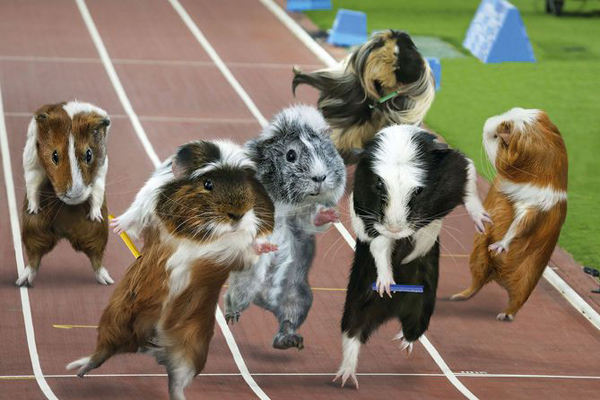 The Olympics happens ever four years, but that does not mean you do not get to indulge in your love for sports every year. 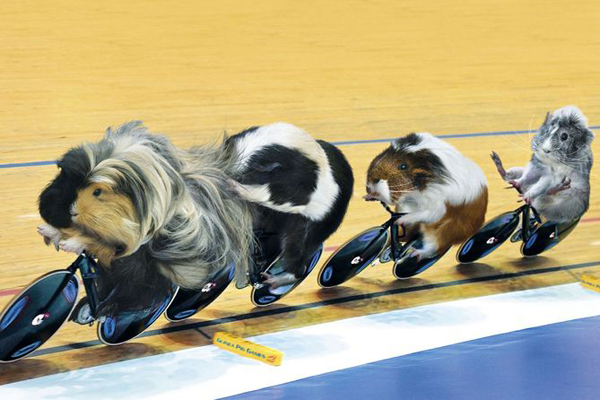 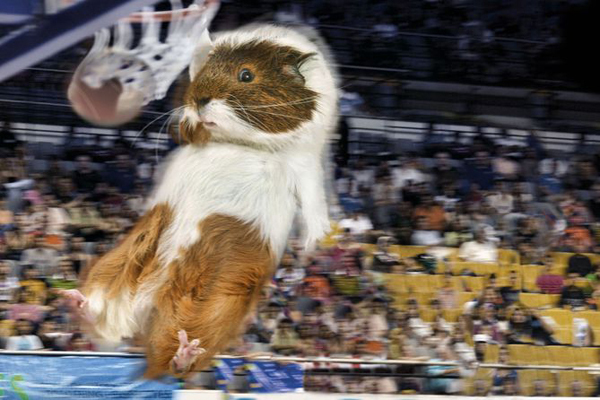 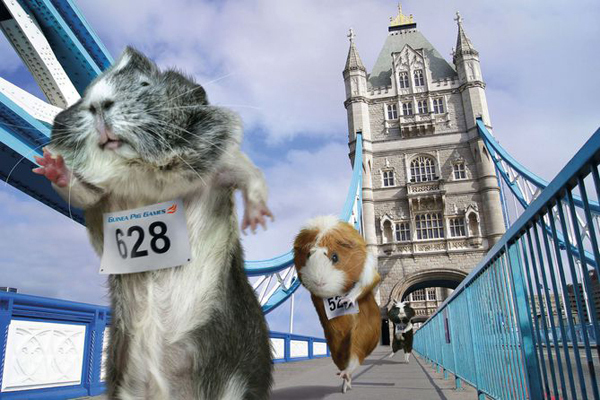 Sure, you see various animals featured in all their glory in wall, desktop and pocket calendars, but here’s a spin on your favorite sports event and the unlikeliest of furry creatures to ever engage in highly competitive sports: GUINEA PIGS. 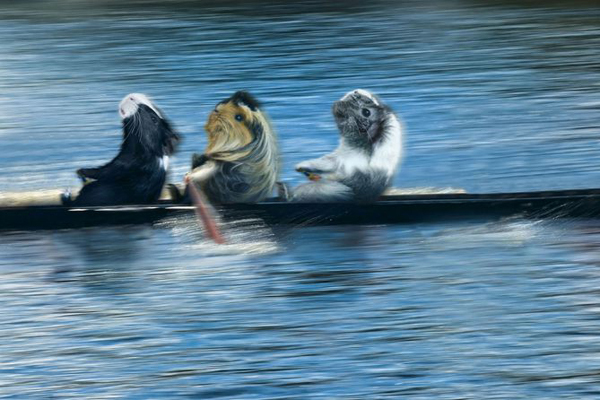 Through combining artful digital manipulations and the uber-cute real-life guinea pigs, you can have this calendar proudly mounted on your wall, reminding you that 2013 is going to be a wonderful year for you. 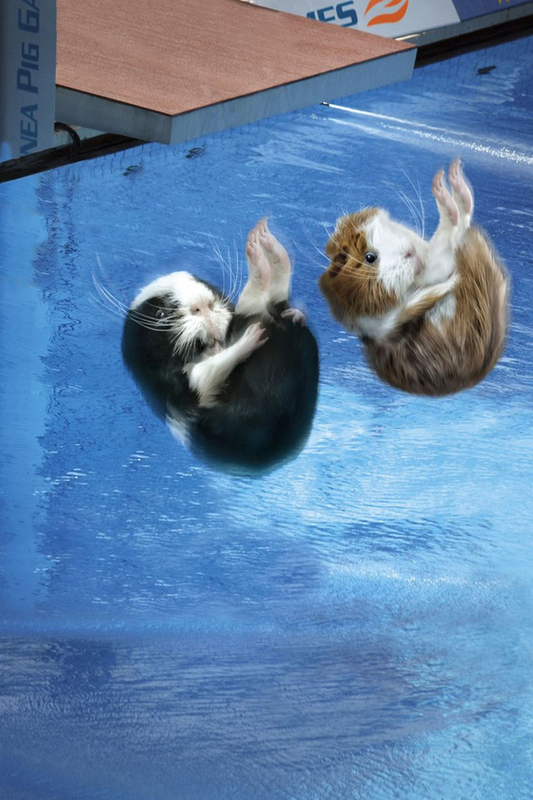 Your favorite Olympic sports became even more interesting and fascinating with the images in this wall calendar depicting guinea pigs in the middle of competing. 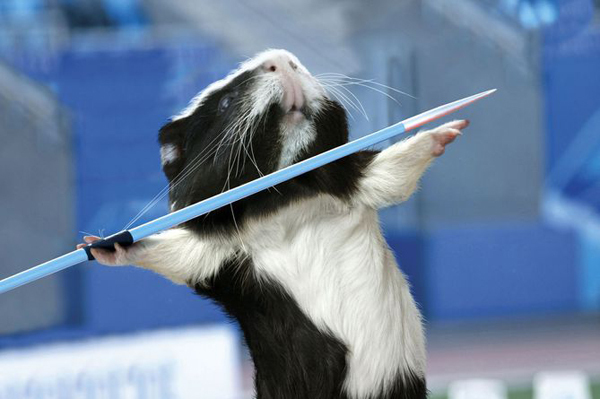 They’re fierce, they’re competitive, they’re furry and, best of all, they’re thoroughly adorable. 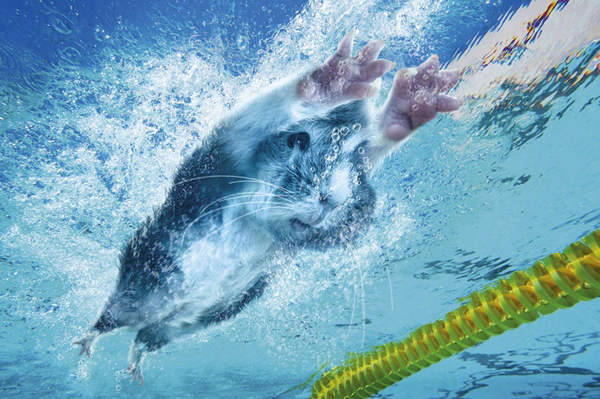 The fact that many are convince the animals are really competing in the said sports in the images is proof of the masterful skills of the creative people at Maverick Arts Publishing. 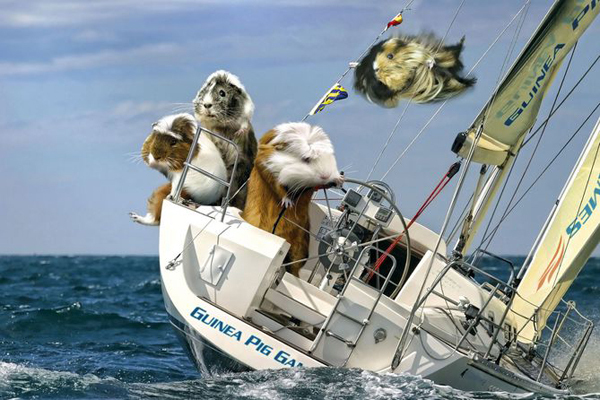 In collaboration with the Crawley, West Sussex-based guinea pig rescue organization called Palace Piggie Rescue, Maverick Arts owner hired live guinea pigs as the models. 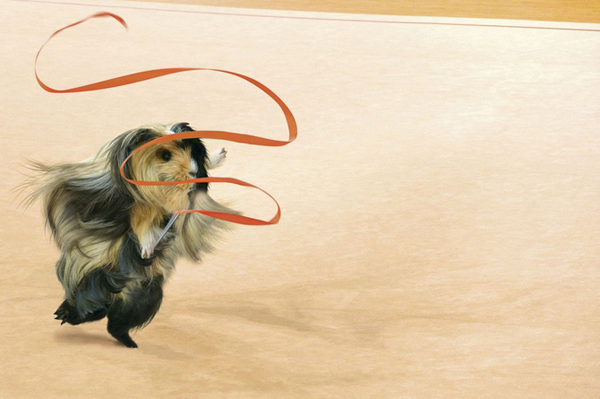 All the shots of the furry animals have been taken inside a well-lit and well-ventilated studio, with the “models” being treated like royalty. 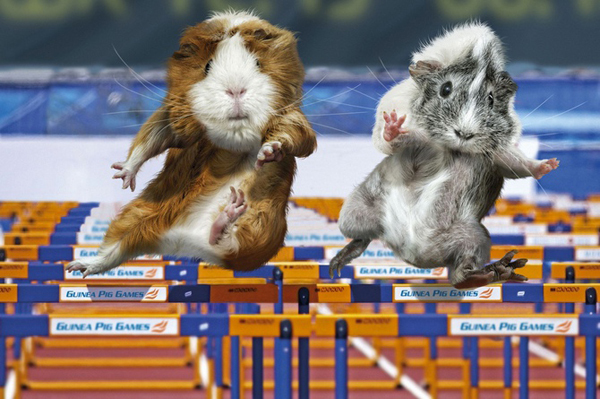 Just five minutes each and they were able to come up with these images worthy of Olympic gold. 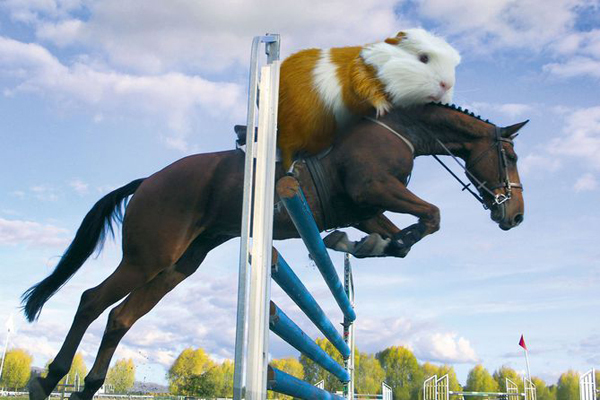 It’s not yet too late to get your own Guinea Pig Games 2013 Wall Calendar. 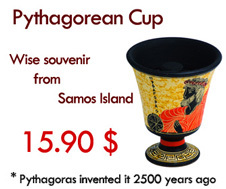 You can buy them here.